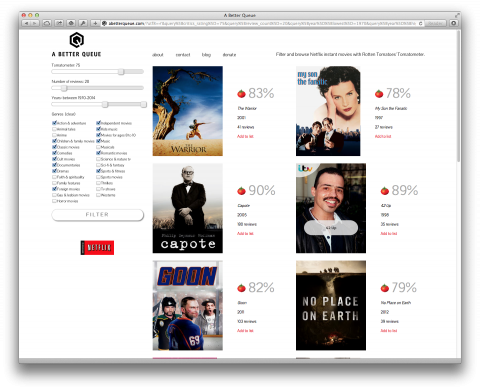 A Better Queue lets you filter Netflix’s instantly streaming movies by Rotten Tomatoes’ Tomatometer, number of reviews, years, and genres. It also lets you add movies straight to your queue. Awesome! Now if only rotten tomatoes was a good way to judge a movie. Its not.